Sunshine and a few clouds. High 68F. NNE winds shifting to ESE at 10 to 15 mph..
Cloudy with rain developing after midnight. Thunder possible. Low near 55F. Winds SE at 15 to 25 mph. Chance of rain 60%. Hannah Whitish had her best game of the season with 28 points, six three-pointers and 12 assists to lead the Nebraska women’s basketball team to an 84-64 win against Purdue on Thursday in West Lafayette, Indiana. Nebraska (10-11) led from start to finish, ending a two-game losing streak and improving to 5-5 in the Big Ten. It was a really good win against a Purdue team that was in fourth place in the league, and had an 11-1 record in home games. Whitish was just one point off her career-high of 29 points, and had her first 20-point game since the middle of last season. It was just the fourth 20-point game by a Nebraska player this season, and they’ve come from four different players. Whitish had already reached 20 points after a scoring outburst in the third quarter when she made two three-pointers, and got a steal for a layup. Whitish scored 10 of Nebraska’s 26 points in the third quarter. Whitish tied her career-high with six three-pointers, coming on just 10 attempts, and was 6-for-6 on free throws. Her career-high 12 assists were three more than her previous best, and gave her the first double-double of her career. 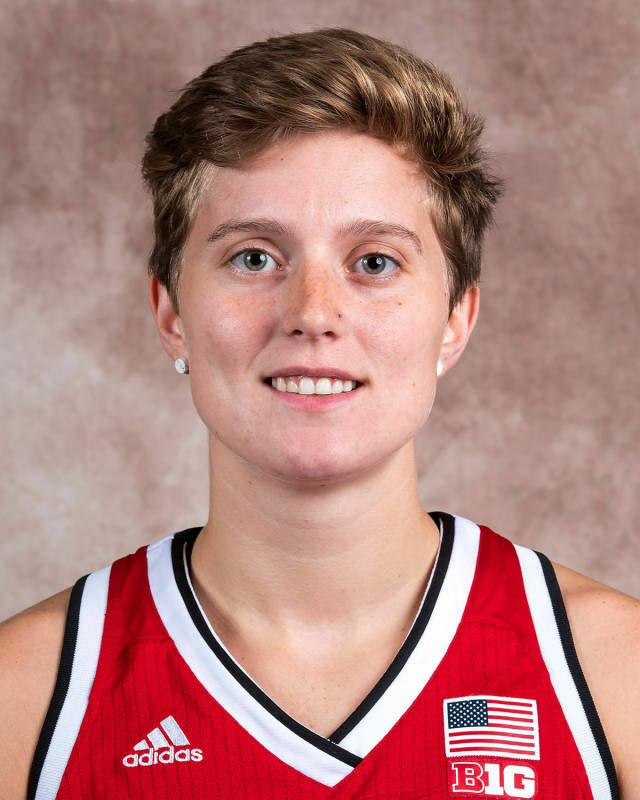 “I thought (Hannah) played probably the best game I’ve seen her play in a Husker uniform,” said Nebraska coach Amy Williams, who has coached Whitish for each of her three seasons at Nebraska. Ashtyn Veerbeek added 14 points, Sam Haiby had 13, and Nicea Eliely had 12 to give Nebraska four players in double-figure scoring. Haiby was 3-for-4 on three-pointers, including one from half-court to end the third quarter. Nebraska’s 11 three-pointers tied a season-high. The Huskers shot 40.7 percent on threes and scored a season-best 84 points. Nebraska had a great start to the game with an 18-6 lead after the first quarter, and a 27-9 lead in the second quarter. Purdue rallied, and by the third quarter was back within six points. Nebraska lost its last game against Wisconsin when the Huskers let a double-digit lead slip away late in the game, but on Thursday the Huskers made sure that wouldn’t happen this time by ending the third quarter on a 14-2 run. Dominique Oden led Purdue (15-8, 6-4 Big Ten) with 18 points. Purdue freshman and Lincoln High graduate Nyagoa Gony played five minutes but did not score. Nebraska outrebounded Purdue 41-25, led by nine rebounds from Veerbeek and six from Kate Cain. Nebraska’s next game is Sunday, when Indiana comes to Pinnacle Bank Arena. Unlike some seasons, there have been several close games in Big Ten Conference women’s basketball this season. Nebraska is tied for eighth place in the Big Ten at 4-5, and hasn't fared as well in those close Big Ten games this season.